Learn how to deal with hair breakage with this Howcast hair tutorial featuring celebrity hairstylist Jacqueline Bush. So, how to deal with hair breakage? This is a good one for people to know. The first thing I&apos;d like to say is a lot of times, the first of all it depends on, why your hair is breaking? Is it breaking because you are using rubber bands too much? 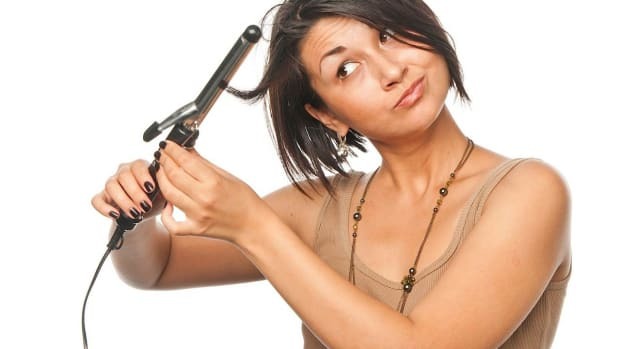 Is it breaking because you&apos;re over-processing your hair? Is it breaking because you&apos;re putting pins in it the wrong way? Is it breaking because you are pulling on it? It could be for many different reasons. But, what I would say and how to handle it, would be that first of all you want to use a lot of conditioner at your ends, what that&apos;s going to do is that it&apos;s going to coat the hair and help protect it. So, that it&apos;s not going to be as dry and as brittle. Because when hair&apos;s dry and brittle that&apos;s when it breaks easier. You are also going to treat it very delicately. Treat it like you&apos;re going to treat satin pillow cases, very soft. Be gentle with it. If you manhandle that kind of very fragile hair, it&apos;s going to break easier. So, even when you&apos;re trying to do tingle your hair and brush you hair, you want to brush it softly. You want to use a really good brush. I love the Mason Pearson brush or stuff like that because it is very gentle on the hair. And then I would say before you go out in the sun, you can use those sun protector on your hair. That&apos;s going to help protect it and that&apos;s how I would deal with hair breakage.